This epic bag is one-of-a-kind. All bags from the Hip Bag Company are handmade, so no two are ever exactly alike. They're as individual as you. 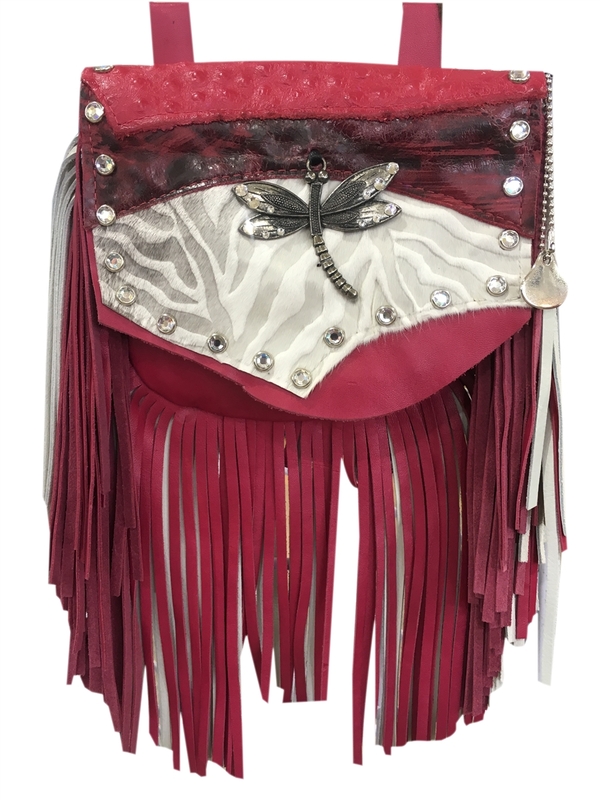 Created by a mother-daughter artist team, they RECYCLE scrap leather, VINTAGE jewelry and EXOTIC leather remnants to produce stunning works of art that you wear on your hip! This bag is a custom color, and no other exists. 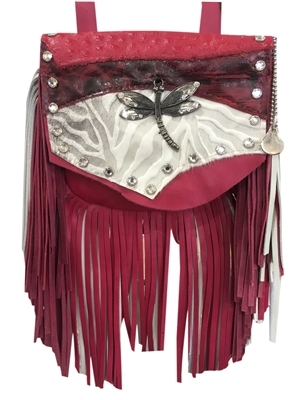 It's made of fuchsia cowhide with a 7" fuchsia and white fringe. The flap is amazing, with laser-cut white hair-on-hide, genuine ostrich and printed leather. The crystal-tipped dragonfly centerpiece steals the attention while crystal studs outline the flap. This is the only one available, and I guarantee it won't be here long.